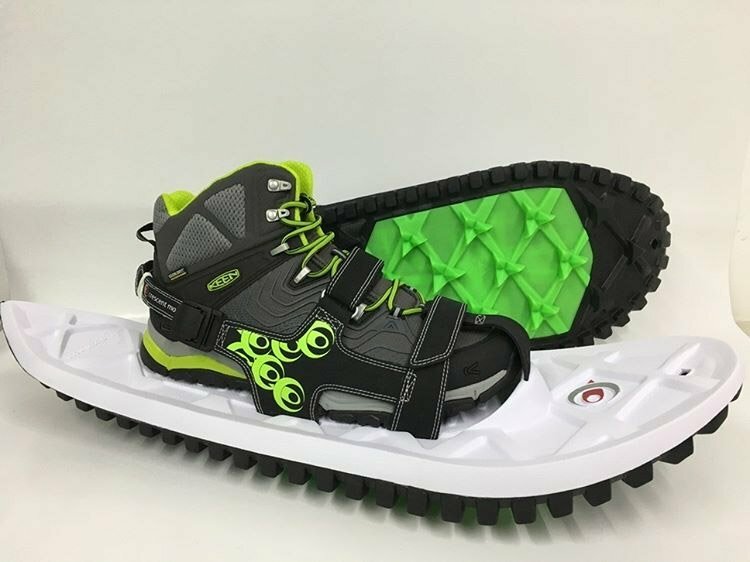 Crescent Moon’s innovative snowshoe design does away with the stiff old stompers and replaces them with flexible foam soles and hard plastic cleats for grip on ice and snow. 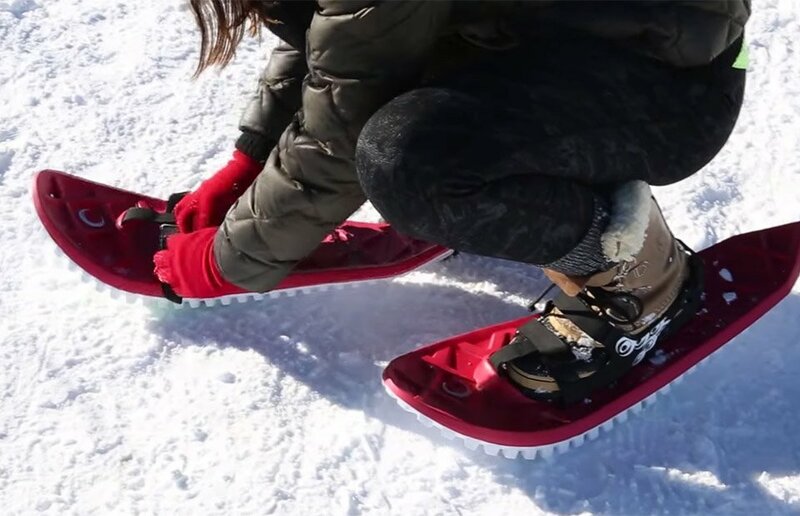 Their rocker shape makes walking and running more natural on the white stuff. Avail. Fall 2017.